After the American Revolution ended, most of the Anglican priests, who were sympathetic to the Crown, had left the United States and returned to England, leaving a shortage of clergy in the Anglican Church in America. John Wesley asked the Bishop of London to ordain clergy for ministry in America, but the bishop, who was probably none-too-pleased over Britain's loss of the colonies, refused to do so. Wesley, being the good Anglican, believed that only a duly consecrated bishop could ordained priests for the ministry. 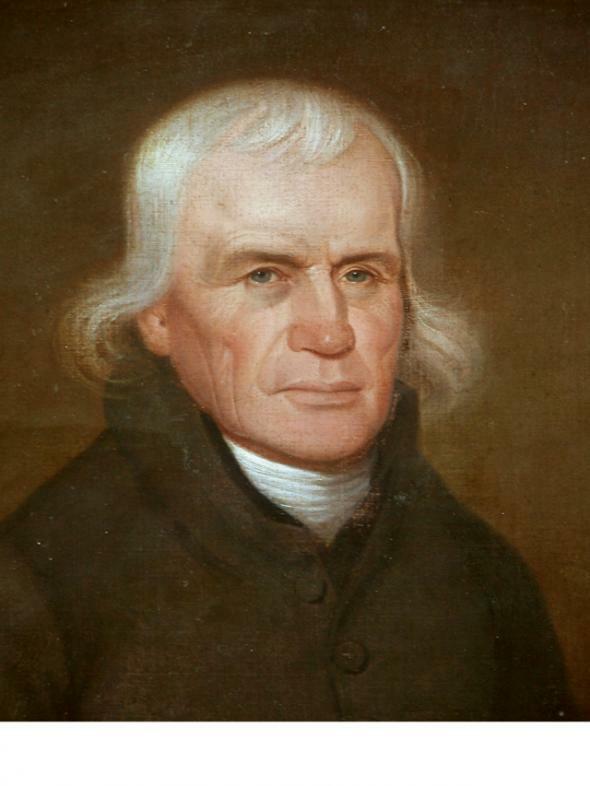 Nevertheless, to fill the need for clergy in America, and becoming convinced through study that such an action could be theologically and biblically justified, Wesley consecrated Thomas Coke as a General Superintendent, sending him off to America with the authority to ordain clergy. By man or woman's whim! [MY DEAR BROTHER], -- There is, indeed, a wide difference between the relation wherein you stand to the Americans and the relation wherein I stand to all the Methodists. You are the elder brother of the American Methodists: I am under God the father of the whole family. Therefore I naturally care for you all in a manner no other persons can do. Therefore I in a measure provide for you all; for the supplies which Dr. Coke provides for you, he could not provide were it not for me, were it not that I not only permit him to collect but also support him in so doing. One instance of this, of your greatness, has given me great concern. How can you, how dare you suffer yourself to be called Bishop I shudder, I start at the very thought! Men may call me a knave or a feel, a rascal, a scoundrel, and I am content; but they shall never by my consent call me Bishop! For my sake, for God's sake, for Christ's sake put a full end to this! Let the Presbyterians do what they please, but let the Methodists know their calling better. Your affectionate friend and brother. What I find interesting is that Wesley is OK with being called names by others, and perhaps sees such derision as a sign of faithfulness to the gospel, but warns against the "study to become great." Of course, one could chide Wesley at this point for starting the whole process in the first place with his decision to go around the church law he covenanted to obey by consecrating people he had no authority to consecrate. But Wesley, who said he would do everything in his power to save as many souls as possible before his death, believed that to be somehow beside the point. Thus, while Wesley's act of insubordination to the church seemed to stem from his passion for the gospel, Asbury's acceptance of the title of bishop perhaps came from lesser and more vain motives. That does not mean that Bishop Asbury was not himself committed to his calling. He was deeply committed. One cannot conclude otherwise from his way of life; but one does wonder where the acceptance of the title of bishop fit into his calling, his mission. It's not that there is anything wrong with being a bishop; it's the motivation for why one should be a bishop, or a district superintendent, or a pastor, in the first place. Like John Wesley, do we bishops, district superintendents, and pastors study and work to be little? Or is it about our own greatness? Jesus himself had a few warnings on this matter. Honestly, I think Wesley is being a bit inconsistent in this letter. He did, after all "consecrate" Coke using the Form for making Bishops from his Book of Common Prayer; and Wesley did edit the form for bishops (changing the word to superintendent) to be the form used in his Sunday Service Book, and the form used to consecrate Asbury. And it was clear to everyone that the superintendents were in fact "episcopoi" exercising episcopal authority -just look at the name that the denomination took for itself from the first: the Methodist Episcopal Church, to which so far as I know Wesley did not object. So he used the liturgy for making bishops to create a "superintendent" who was in fact nothing other than an episcopal overseer. Whether or not the word bishop is used, that is exactly what Wesley himself created. If he rejected the word itself, I think it was so, if anyone asked, he could still claim he had not broken with Anglicanism by consecrating his own "bishop." Wesley definitely was being inconsistent, and, in my opinion, this had more to do with power struggles then with semantics. Before this letter, the conference had recently removed the “binding minute” which essentially removed Wesley’s name from the Discipline. The conference had also just rejected Wesley’s appointment of Richard Whatcoat as Superintendent, while also greatly limiting Coke’s power. The church had used the terms Superintendent and Bishop interchangeably since the Christmas Conference. In fact, Coke’s ordination sermon for Asbury used the term bishop rather than superintendent and was about “the grand characteristics of a Christian Bishop.” So I would say that claiming Asbury took the title for "lesser and more vain motives" is a little bit of an overstatement. Wesley was often blaming Asbury for things which he had little control over, although he was responsible for changing the title in the Discipline. I honestly wish we had more Bishops like Asbury, who were willing to exert a little authority for the good of the church. Thanks for your thoughts. Now let me push back a little. I have no doubt there was a power struggle going on, but perhaps Asbury was simply too dismissive of Wesley-- possibly seen in his reference to Wesley as "our old daddy." And, as I said in the post, we could say to Wesley's objections to Asbury's taking the title of bishop, "Well, Father, John... it couldn't have happened without your initiative." But Asbury certainly worked to marginalize Wesley and Coke. Asbury was a rather ambitious individual, which made him an excellent bishop, but may indeed led to some lesser and vain motives. And, yes, Wesley did edit the liturgy for consecration of bishops, but that was a vintage Wesley practice of editing things for his purposes. And by avoiding the term bishop he was indeed splitting terminological hairs so that he could remain a faithful Anglican, but again, Wesley maneuvered his way through these kinds of tensions all the time throughout his life(e.g. affirming infant baptism as the washing away of original sin while maintaining the need for the individual response of faith). Once Wesley had worked it out in his head that his distinctions were sound, he had no reason to think any of his Methodists should draw different conclusions. I find the questions at the end of the article to be of most value. They remind us of being servants; of the place of surrender in spiritual formation; of sound practice of ministry.